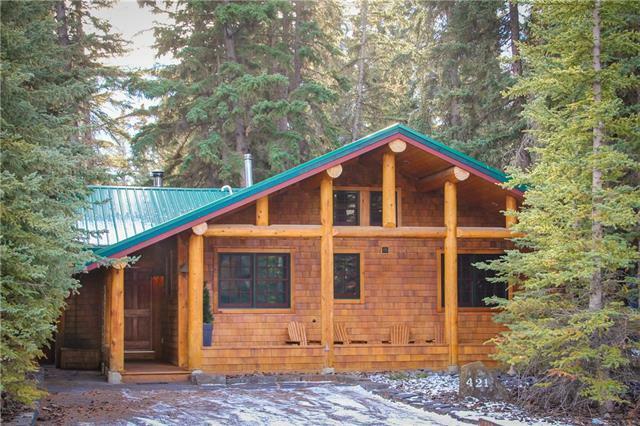 This fully furnished alpine cabin in a well treed south Canmore lot with a mountain backdrop exudes CHARACTER and CHARM. 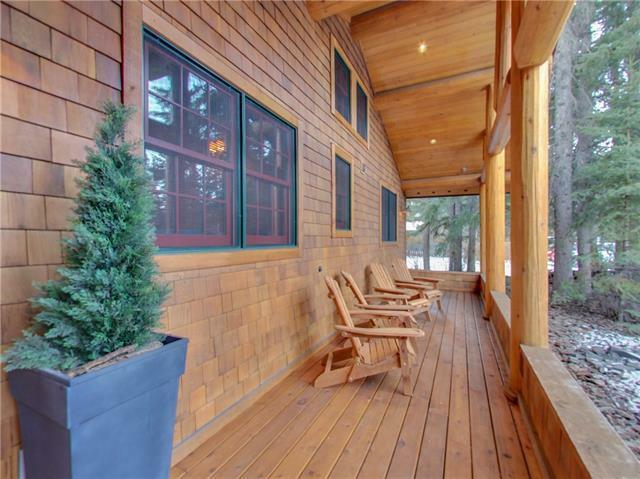 The welcoming porch with log post and beam invites the homeowner and guests into the warmth of this family, friendly home. The open concept living and dining area boast high, wood finished, vaulted ceilings & a magnificent rundle stone wood burning fireplace;a wonderful place to gather. The bright kitchen features slate floors, stainless appliances, maple cabinetry, granite counters & large windows. 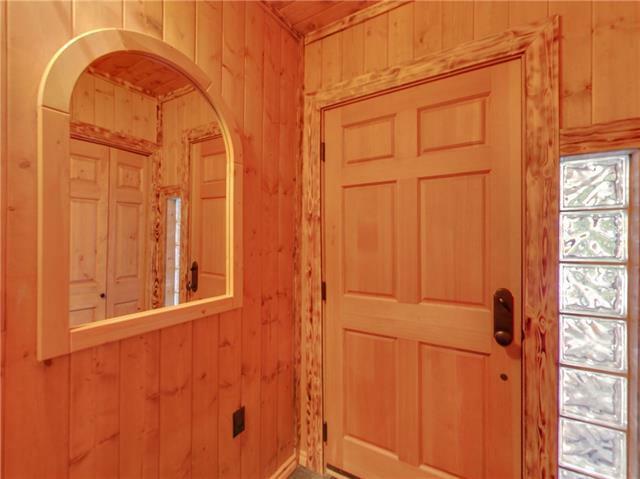 Two main floor bedrooms, a loft bedroom and office as well as 3 bathrooms complete this home. Step out onto the backyard patio & enjoy a soak in the hot tub after a day outdoors,sit around the fire pit or just take in the sunshine! The accessory building (390 sq.ft) is ideal as a bunkhouse, art studio or double car garage. 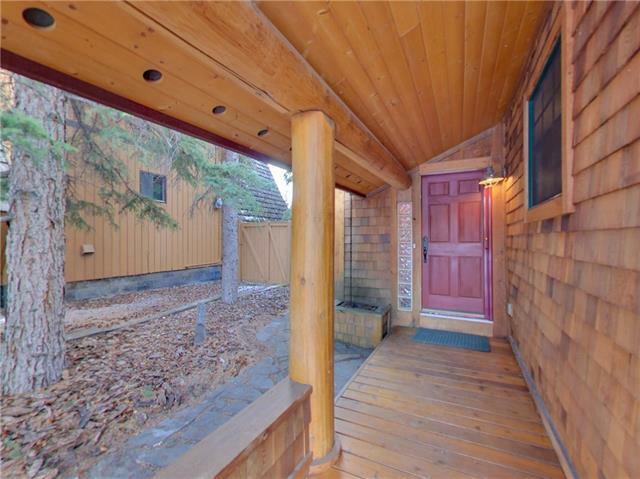 The home has been meticulously renovated & maintained and is a one of a kind! The loft is 182 sq.ft and has not been added to the registered size.